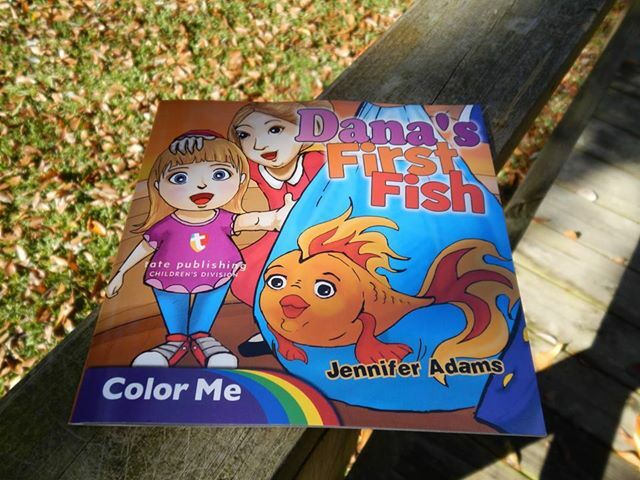 Yesterday, I received my Dana’s First Fish coloring books. And yesterday I decided to start a little contest on my author page on Facebook. All it takes to enter into the contest is to ‘like’ and ‘share’ a picture of the cover of Dana’s First Fish from my Facebook wall. Then post in the comments section below to say that you have ‘liked’ and ‘shared’. One winner will be randomly picked and I will announce the winner on my Facebook page. 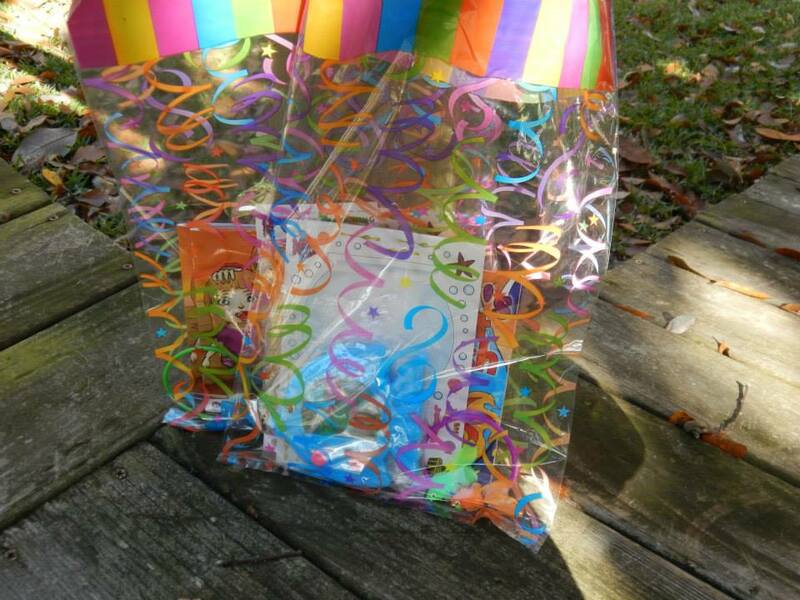 I will then contact that person to let them know they have won so that I can get their mailing address from them in order to ship them their gift bag. 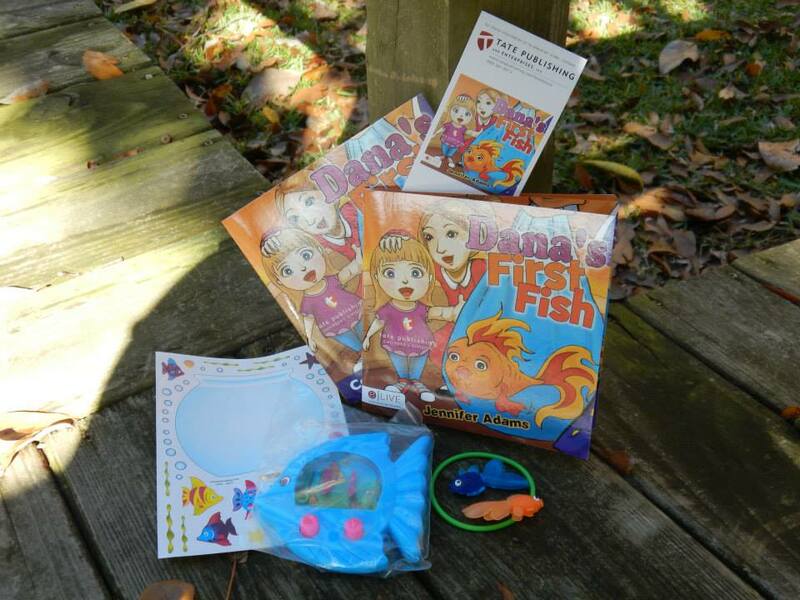 The gift bag give away will include a Dana’s First Fish story book and coloring book, along with a few fishy toys. I will pick one winner each week from now until the week before Christmas – 8 Nov – 19 Dec. It makes a great Christmas present for that special little one you have in mind. This entry was posted in Blog, My Children's Book, Needs Your Attention and tagged Arkansas, Arkansas author, author, Autism, children, children with special needs, Children's literature, Christmas, coloring books, contest, Dana's First Fish, Facebook, first pets, fish, free books, give away, Jennifer Adams, Jennifer N Adams, kids, parents, single mom, single parents on November 8, 2013 by JenniferNAdams. I liked your FB page a long time ago since it’s so much fun. I shared the photo of your coloring/storybook to my author page too!